An updated exterior appearance was just the beginning of this reuse adaptation of the existing municipal building. The total re-thinking of existing and future needs guided the changes in floor plan, organization of both public and office spaces, and efficiencies required to stay within the controlled project budget. Of prime importance was the ability of the staff to continue working and providing services within the building during the construction process, with minimum disruption to public access and worker productivity. 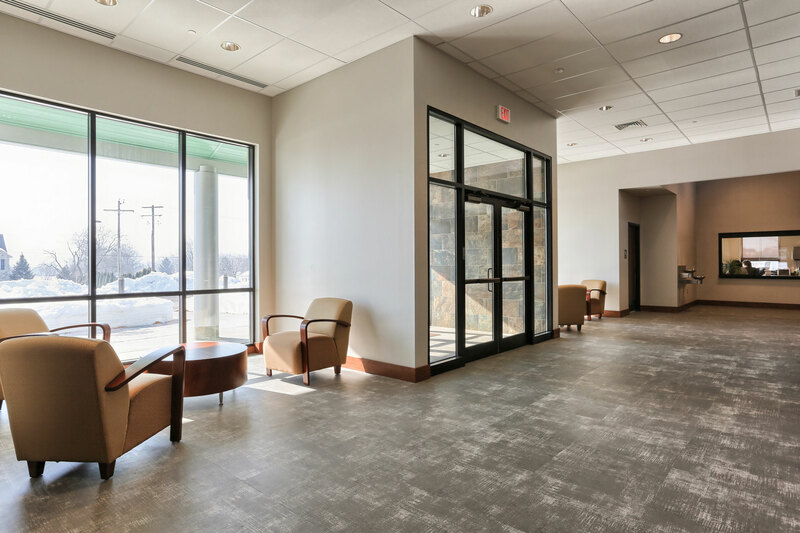 The new vestibule and public lobby instills a sense of pride and welcome when residents enter to conduct business with the various municipal departments. Our design team chose the interior finishes and furniture in neutral tones with textures, patterns and styles to set the tone for a pleasant experience upon entering the building. A new HVAC system provides year-‘round comfort. The lobby, public restrooms, and public meeting rooms can be locked off from the offices to provide security and protection when being used in evenings and weekends by community groups. In the public meeting room neutral tones in the décor are again enhanced by the use of interesting patterns and textures, a theme followed throughout the building. In this room it is enhanced by the rich cherry wood used in the paneling and expansive dais. 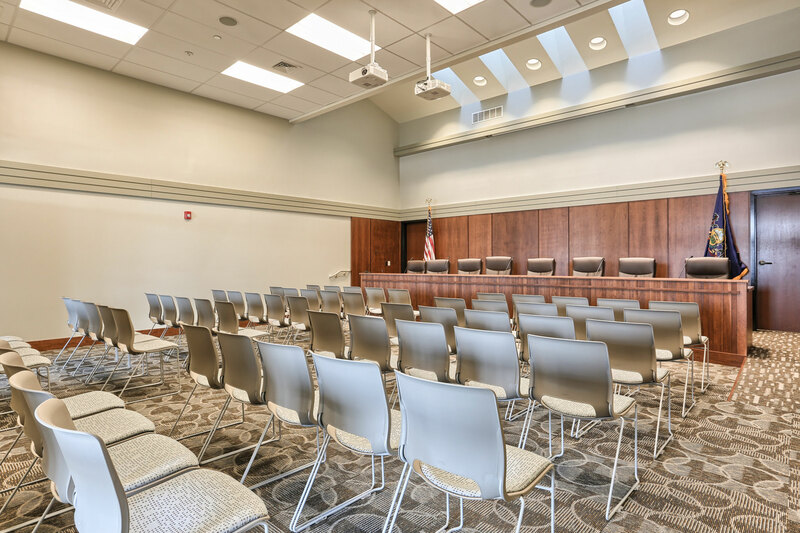 A built-in microphone system on the dais, retractable projection screens in the front and rear walls, and stackable/movable chairs make this room functional for all types of public meetings and uses. 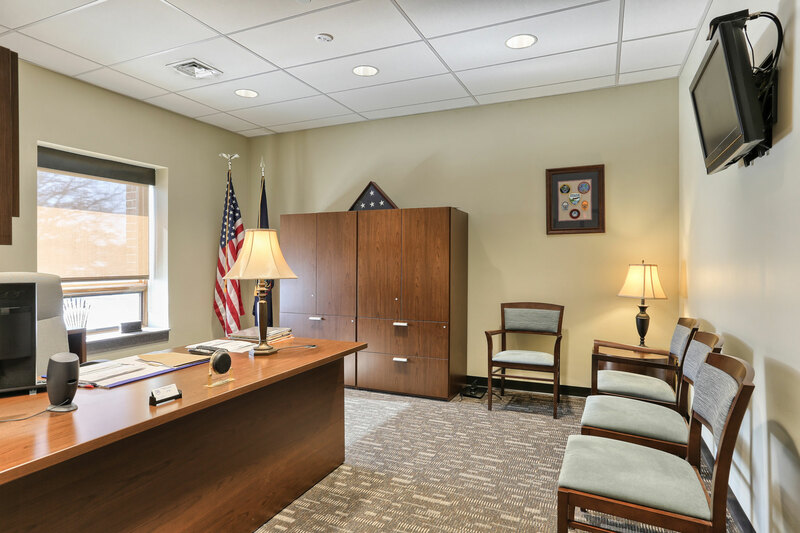 The same neutral themes, cherry woods, and interesting patterns and textures are continued in the township manager’s office. A small conference area is included where small meetings can be held, keeping the public meeting room available for larger groups. Offices for management level employees are clustered around the manager’s office and a common work area, visible through the open door. The squad room is the hub of activity for staff in the police section of the building. 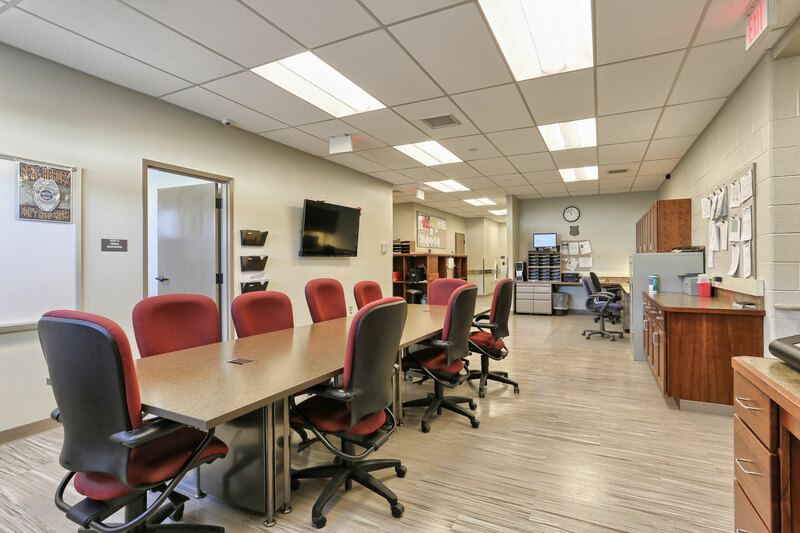 It includes a spacious meeting area, access to the sergeant’s office and staff work stations, and direct connection to the detainee area. The monitor on the wall is connected to the countywide communication system. Operations areas are only accessible by programmable key cards to maintain the highest level of round-the-clock security. The new design provides a space with defined areas of organization that improves the efficiency of operations and communications. The police chief’s office is adjacent to the reception and family interview areas, making it easily accessible to the public. The chief has access to the countrywide communications system and station security cameras through the monitor in his office, keeping him connected and aware of all happenings in real time. 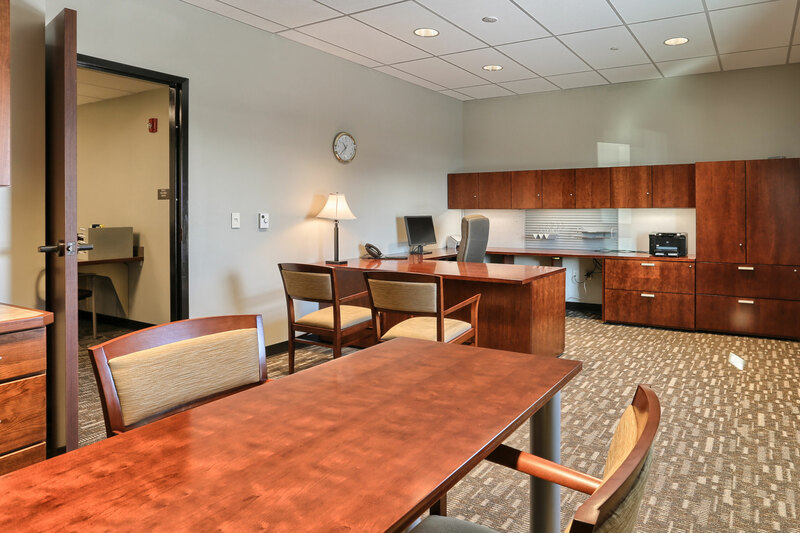 The combination cherry woods and neutral décor color scheme is consistent with the reception area providing the right balance for work and private meetings with constituents. 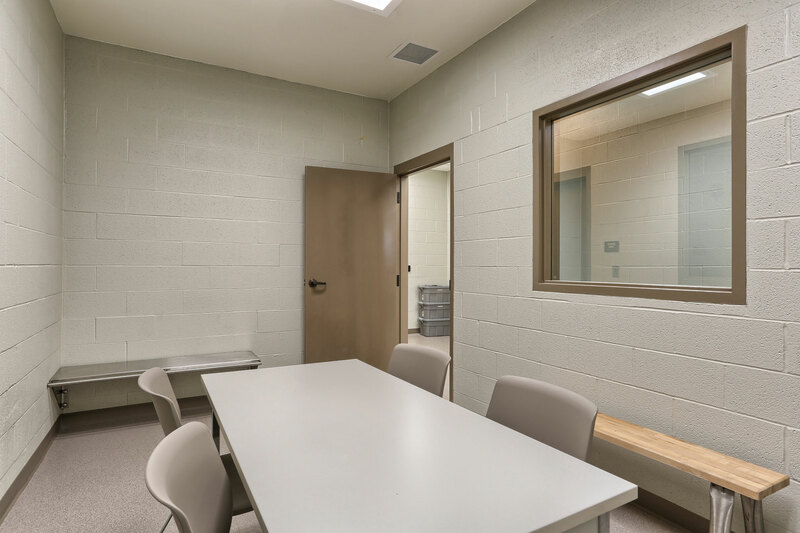 The adult interview room is has a simple, clean appearance that discreetly conceals the many safety and protection features such as the one-way mirror/observation window and high illumination levels for video recording. 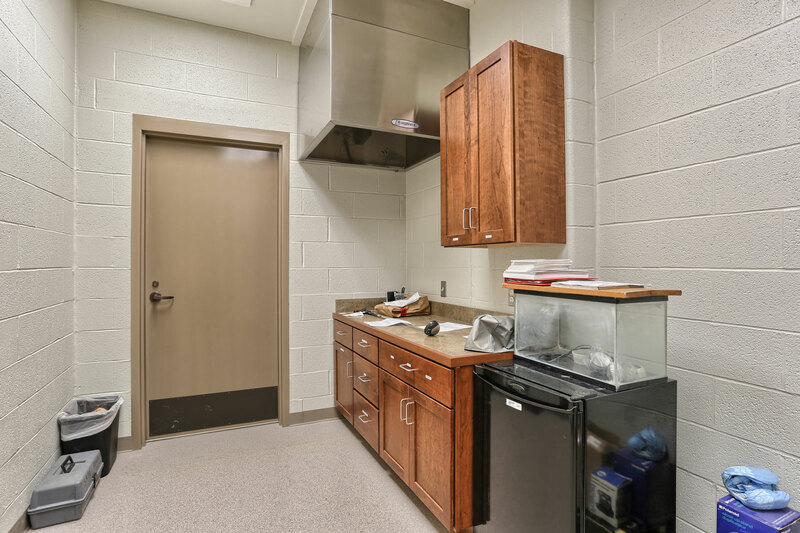 Construction materials were chosen for high durability such as the stainless steel security bench that is bolted through a reinforced masonry wall, allowing officers to secure detainees with handcuffs. 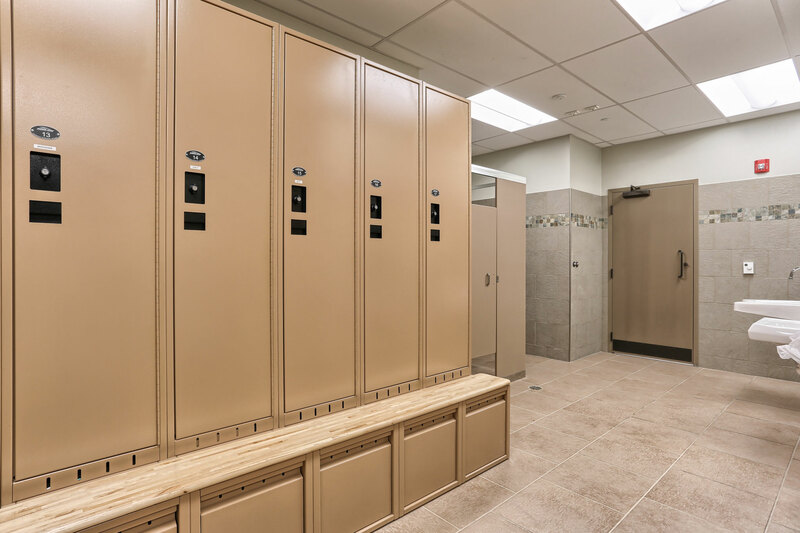 Vented police specialty lockers in the officers’ locker and restroom area include power ports where they can charge electronic devices, a built-in bench over storage drawers, and enough room to store a full week of uniforms and street clothes. It is vital that the police evidence processing room be designed to maximize the care and protection of evidence collected. A stainless steel hood ventilates the room, the countertops are resistant to chemicals, and the room is monitored at all times. The area above the ceiling is reinforced to make it difficult for anyone to break into the room.